HTTP stands for Hyper text transfer protocol .Before i will go into Http , let me explain what is protocol? In computer world protocol it is more or less like the manners or rule how computer layers or components interact with each other.When visiting Web sites, the client application makes connections to Web servers via a network protocol called HTTP. These network connections support sending response data from servers back to clients including the content of Web pages and also some protocol control information. HTTP is just a small piece this model. So, lets what each word denotes in HTTP acronym. The T and the P together are the transfer protocol and HT, or hypertext, is the something that gets transferred with this protocol. Being more specific about hypertext, it is just when you create webpage and put come links for connecting/jump from one page to another. So, this hypertext needs to fallow some convention or rules.On the other side of the network we essentially have nothing more than your computer but instead of a browser with another piece of software, a web server. Of course, that computer also has HTTP installed. Here the protocol is linked with this web server software which will get the request and according to it will answer with a response. This response, again according to the rules set in the protocol, will be send back to your computer where the browser will understand what is going on and present the response to you. HTTP is an asymmetric request-response client-server protocol . An HTTP client sends a request message to an HTTP server. The server, in turn, returns a response message. HTTP is a stateless protocol means the current request does not know what has been done in the previous requests. Protocol: The application-level protocol used by the client and server, e.g., HTTP, FTP, and telnet. Hostname: The DNS domain name (e.g., www.shabirhakim.net) or IP address (e.g., 192.128.1.2) of the server. Port: The TCP port number that the server is listening for incoming requests from the clients. Path-and-file-name: The name and location of the requested resource, under the server document base directory. NOTE:HTTP is a client-server application-level protocol. It typically runs over a TCP/IP connection, as illustrated above. GET: A client can use the GET request to get a web resource from the server. HEAD: A client can use the HEAD request to get the header that a GET request would have obtained. Since the header contains the last-modified date of the data, this can be used to check against the local cache copy. POST: Used to post data up to the web server. PUT: Ask the server to store the data. DELETE: Ask the server to delete the data. TRACE: Ask the server to return a diagnostic trace of the actions it takes. OPTIONS: Ask the server to return the list of request methods it supports. CONNECT: Used to tell a proxy to make a connection to another host and simply reply the content, without attempting to parse or cache it. This is often used to make SSL connection through the proxy. The first line of the response message (status line) contains the response status code, which is generated by the server to indicate the result of the request. 1xx (Informational): Request received, server is continuing the process. 2xx (Success): The request was successfully received, understood, accepted and serviced. 3xx (Redirection): Further action must be taken in order to complete the request. 4xx (Client Error): The request contains bad syntax or cannot be understood. 5xx (Server Error): The server failed to fulfill an apparently valid request. 100 Continue: The server received the request and in the process of giving the response. 200 OK: The request is fulfilled. 301 Move Permanently: The resource requested for has been permanently moved to a new location. The URL of the new location is given in the response header called Location. The client should issue a new request to the new location. Application should update all references to this new location. 302 Found & Redirect (or Move Temporarily): Same as 301, but the new location is temporarily in nature. The client should issue a new request, but applications need not update the references. 304 Not Modified: In response to the If-Modified-Since conditional GET request, the server notifies that the resource requested has not been modified. 400 Bad Request: Server could not interpret or understand the request, probably syntax error in the request message. 401 Authentication Required: The requested resource is protected, and require client’s credential (username/password). The client should re-submit the request with his credential (username/password). 403 Forbidden: Server refuses to supply the resource, regardless of identity of client. 404 Not Found: The requested resource cannot be found in the server. 405 Method Not Allowed: The request method used, e.g., POST, PUT, DELETE, is a valid method. However, the server does not allow that method for the resource requested. 500 Internal Server Error: Server is confused, often caused by an error in the server-side program responding to the request. 501 Method Not Implemented: The request method used is invalid (could be caused by a typing error, e.g., "GET" misspell as "Get"). 502 Bad Gateway: Proxy or Gateway indicates that it receives a bad response from the upstream server. 503 Service Unavailable: Server cannot response due to overloading or maintenance. The client can try again later. 504 Gateway Timeout: Proxy or Gateway indicates that it receives a timeout from an upstream server. W3C HTTP specifications at http://www.w3.org/standards/techs/http. RFC 2616 "Hypertext Transfer Protocol HTTP/1.1", 1999 @ http://www.ietf.org/rfc/rfc2616.txt. RFC 1945 "Hypertext Transfer Protocol HTTP/1.0", 1996 @ http://www.ietf.org/rfc/rfc1945.txt. Being unknown to private corporate culture, I started my career after finishing my education just with natural supposition that if I work hard and contributed well as a team player, I would get promoted by top management. Unfortunately, you are wrong if you think so.Reality is that it is not only hard work and contribution which help you to grow but needs some addition promotion attributes like back-stabbing, cunning, lobby-ism or being managers pet . You can’t and you really don’t know what your peer or colleague is thinking about you or doing behind you. I also didn't anticipate how many people acted like this or how effective they would be. Simply hard to know or judge who is what? Truth is that there is more or less your manager who plays around and definitely depends whether you are his pet or follower ? If not, you better don’t expect any growth. I believe 99% managers are insecure in their role. The mind-set of reverses goes a long way in understanding human nature. This is mind-set developed in them and they never get over this. So, it clearly visible and obvious that they feel insecure and confused over their role and yours too. Many senior managers are ruthless. They put pressure just for the sake of increasing short-term productivity and don’t know consequences for long term which is really hell i. I’ve observed in the tech industry that in general, anyone who has a sense of self-worth usually doesn’t get promoted to management. I also experienced that being a manager means not being needed for 99% of the time. During S/w development cycle what average manager do? 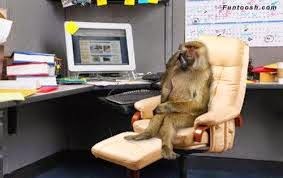 Assuming there is proper work breakup done for the project, there isn’t going to be too much management to do except manager opening excel sheet and maintaining leave record for resources and status emails . How to deal with them? If he/she does nothing, top management should simply replace such 99% wastage from project because project smooth running demands someone more “hands on” Or just do simple budget cut because the departments with constant emergencies need more funding. Not only managers, you have other characters too (but not big deal to deal with them). Like..
1) Person who is tricky/clever magnifying his or her successes, contributions. He does not recognize which achievements he should promote; He communicates them all...and very loudly. To be a GOOD manager, you have to be a good person .If I said “Good”, I mean you won’t lie to, blame, shout at or threaten your people. You’ll treat your people respect dignity and enjoy helping people to grow. Few things feel better than helping someone who is new to a role, or who has been struggling, into becoming a productive, confident person. Above all this you will Love creating positive environments. A great manager creates a team and office environment that makes it easy for smart people to do good things. I will love to hear about you experience with such characters in industry. 1..NET2.0/4.0 and vs 2005/2008/2010/above is installed on system. 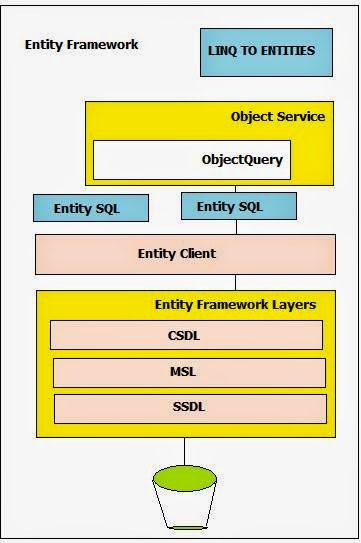 Actually, I thought of writing this post regarding LINQ ,ENTITY FRAMEWORK..because most of the posts and queries I have seen are regarding these technologies and seems most of the developers are confused with this part of .NET Technology. But trust me LINQ is such a strong language extension which has given great power to .NET languages to query data within application only. LINQ defines a .NET application programming interface (API) and set of extensions to the Visual Basic and C# languages that enables querying diverse data types with a single syntax that ’ s similar to Structured Query Language (SQL) Which we use for database access. In this example, secondList and firstList are equivalent. list2 contains the same numbers as list1 does. As you can see, you don't write a foreach loop. Instead, you write a SQL statement. But what do from, where, and select mean here? Where are they defined? How and when can they be used? Let us start the exploration now. Language Integrated Query, or LINQ, is a flexible ,structured simple , SQL-like query language designed to give the programmer consistent syntax to query any data set, whether database, XML, or just plain objects. We can also take it as It is just developed for comfort a.
Scenario/Problem: You want to query a collection for all objects meeting some criteria. This and the following examples use some data objects to demonstrate how LINQ works. Before We Understand Entity Framework,we should know why Entity Framework and Why Not Entity Framework? When Not to use Framework? Code can only access the database through stored procedures. EF does have limited support for SP. Assume we want to work in a method of loading ALL data into memory is that recommended using Entity framework? What problems should we expect? Loading all entities will require many queries and a lot of time. Latencies because of the EF change tracking and large collection handling. EF contexts are not thread-safe, you should not use one context for the entire service. If you do intend to do that, use EF for loading entities, but not for managing them (detach the entities from the content). it is not thread safe, having overheads and doesn’t follow the idea of separation of concern. it is much better to use a designated cache API like AppFabric Cache. As LINQ to Entities is part of the Entity Framework, let's now learn what that is. With Entity Framework, developers work with a conceptual data model, an Entity Data Model (EDM), instead of the underlying databases. and the mapping in between is expressed in the Mapping Schema Language (MSL). A new data-access provider, EntityClient, is created for this new framework, but under the hood, the ADO.NET data providers are still being used for communicating with the databases. The overhead of taking a ado.net data reader an transforming the results to objects, and the overhead of compiling SQL queries from LINQ. When you have abstraction layer you get overhead. The overhead depends on what they do with Entity Framework. in general you should consider to get away from Inheritance because it does have a greater overhead. Now let's have a look at what LINQ to Entities is. LINQ to Entities provides the LINQ support that enables developers to write queries against an Entity Framework conceptual model using Visual Basic or Visual C#. Queries against the Entity Framework are represented by command-tree queries, which execute against the object context. LINQ to Entities converts the LINQ queries to the command-tree queries, executes the queries against Entity Framework, and returns objects that can be used by both Entity Framework and LINQ. LINQ to Entities allows developers to create flexible, strongly-typed queries against the EDM by using the LINQ expressions and standard LINQ query operators. To a certain degree, LINQ to Entities is similar to LINQ to SQL, but LINQ to Entities is a true ORM Article from Microsoft and it supports more features than LINQ to SQL, such as multiple-table inheritance. LINQ to Entities also supports many other mainstream RDBMS databases such as Oracle, DB2, and MySQL, in addition to Microsoft SQL Server. Before LINQ to Entities, Microsoft released another ORM Product, LINQ to SQL. Both LINQ to SQL and LINQ to Entities can be used in the data access layer to interact with databases, but they are quite different. In this section, we will learn what LINQ to SQL is, and in the next section we will compare these two technologies. In short, LINQ to SQL is a component of the .NET framework that provides a runtime infrastructure for managing relational data as objects. In LINQ to SQL, the data model of a relational database is mapped to an object model expressed in the programming language of the developer. When the application runs, LINQ to SQL translates the language-integrated queries in the object model into SQL and sends them to the database for execution. When the database returns the results, LINQ to SQL translates the results back to objects that you can work with in your own programming language. Unlike LINQ to Entities, with LINQ to SQL developers don't need to create an extra data model between their applications and the underlying database. 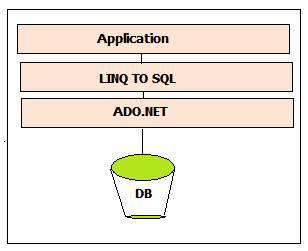 Under the hood of LINQ to SQL, the ADO.NET SqlClient adapters are used to communicate with the actual SQL Server databases. Now we know what LINQ to Entities is and what LINQ to SQL is. Next in this section, let's compare these two technologies. As described earlier, LINQ to Entities applications work against a conceptual data model (EDM). All mappings between the languages and the databases go through the new EntityClient mapping provider. The application no longer connects directly to a database or sees any database-specific constructs. The entire application operates in terms of the higher level EDM. This means that you can no longer use the native database query language. Not only will the database not understand the EDM model, but also current database query languages do not have the constructs required to deal with the elements introduced by EDM such as inheritance, relationships, complex types, and so on. On the other hand, for developers who do not require mapping to a conceptual model, LINQ to SQL enables developers to experience the LINQ programming model directly over the existing database schema. LINQ to SQL allows developers to generate the .NET classes that represent data. Rather than mapping to a conceptual data model, these generated classes are mapped directly to database tables, views, stored procedures, and user-defined functions. Using LINQ to SQL, developers can write code directly against the storage schema, using the same LINQ programming pattern as was previously described for in-memory collections, entities, or the dataset, as well as for other data sources such as XML. Compared to LINQ to Entities, LINQ to SQL has some limitations, mainly because of its direct mapping against the physical relational storage schema. For example, you cannot map two different database entities into one single C# or VB object and if the underlying database schema changes, this might require significant client application changes. Interestingly, some people say LINQ to SQL was an intermediate solution. The fact is that LINQ to SQL was created by the C# team instead of the ADO.NET team. It was of great importance for the C# team to release an O/RM mapper together with their new LINQ technology. Without a LINQ to databases implementation, the C# team would have had a hard time evangelizing LINQ. Here you can see series of posts for building Providers provider.